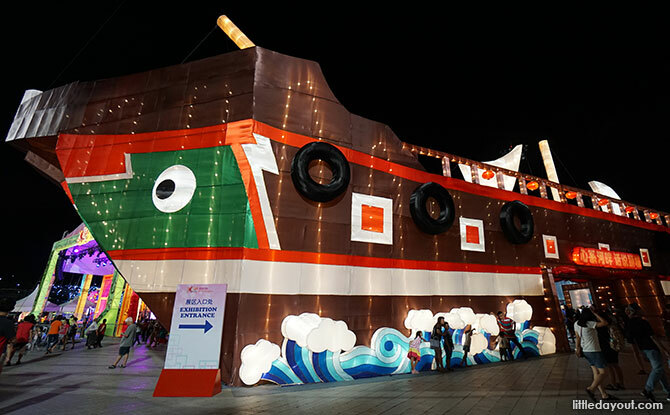 River HongBao 2019 Bicentennial Edition brings the Lunar New Year festivities to the Float at Marina Bay with larger-than-life lantern sets, fireworks, performances and a carnival from 3 to 10 February 2019. 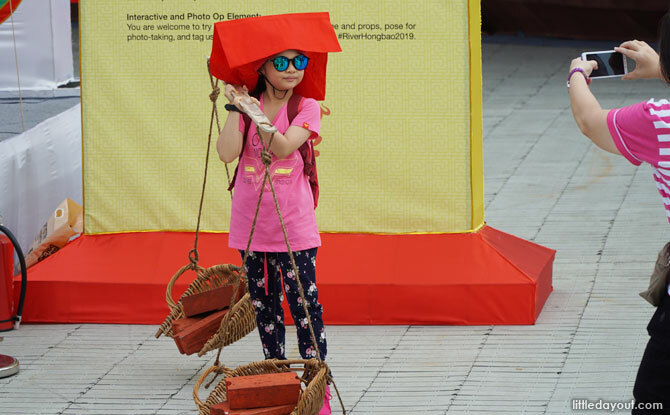 Here are some of the highlights of River HongBao 2019 Bicentennial Edition. 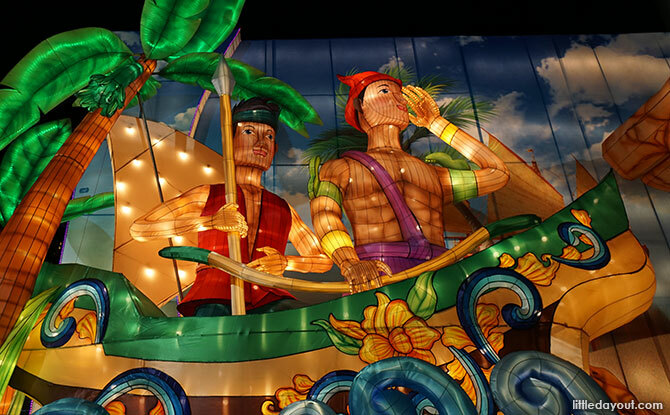 A highlight of every year’s River HongBao are the grand lantern displays and this year is no exception. 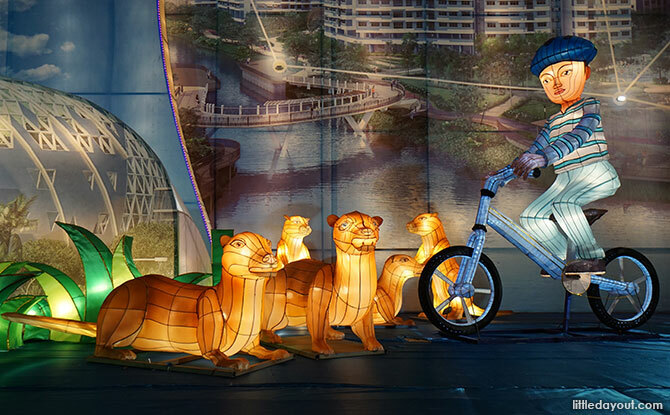 The River HongBao 2019 Bicentennial Edition features many different lantern sets, the centrepiece of which is the 60-metre-long Our Garden, Our Home. 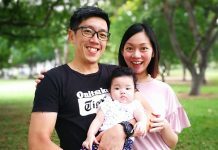 Occupying the centre of the Our Garden, Our Home are the gates of Singapore Botanic Gardens. To the left are scenes from the past including depictions of Sang Nila Utama and the signing of the 1819 treaty between Raffles and Sultan Hussein. To the right of the gates are scenes showing Singapore’s progress. Otters are also represented in the lantern set. 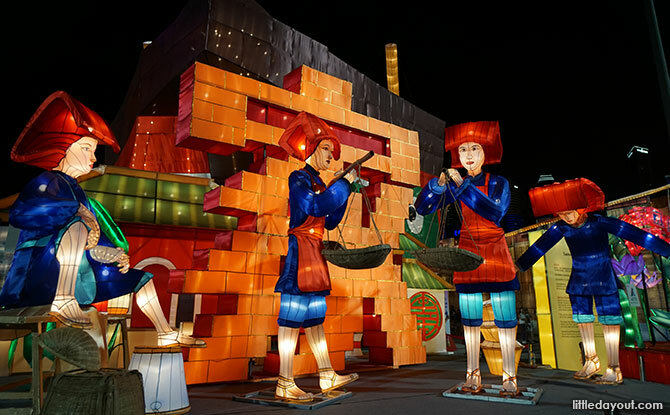 Other lantern sets around River HongBao 2019 Bicentennial Edition include Samsui women in front of the Chinese character for ‘home’, a Giant Carp which represents the Chinese saying “nian nian you yu” which sounds like “yearly abundance” and more. 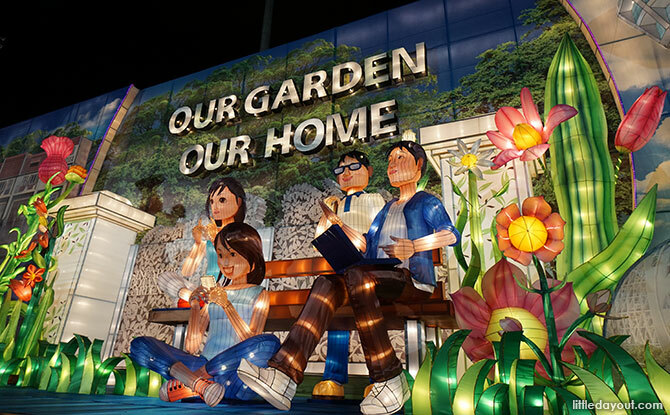 Besides simply admiring the lanterns, some of them are interactive as well. 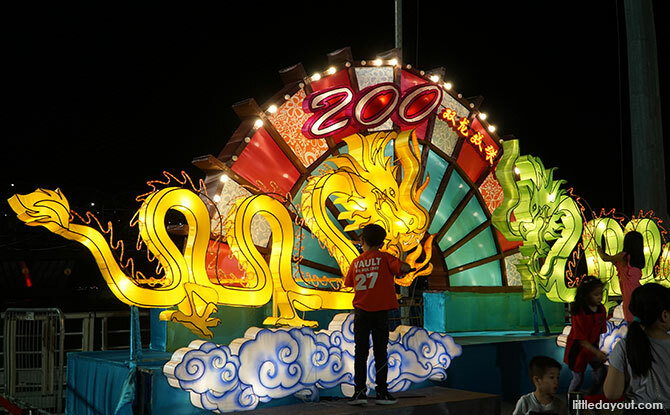 The Bicentennial Dragon Game features two dragons designed to form the number “200”. Two persons can face-off in a contest to see who move a loop along the dragon’s body without triggering the alarm. 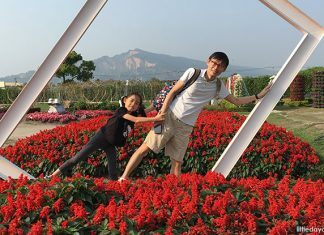 At the Wishing Fountain, try striking the bells while throwing in some coins and making a wish. 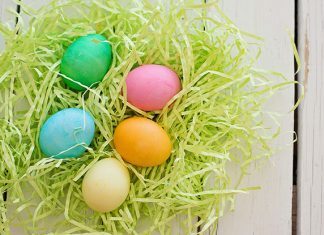 The money collected will be donated to charity. Over at the Samsui Women display, dress up as a Samsui Woman and strike a pose. 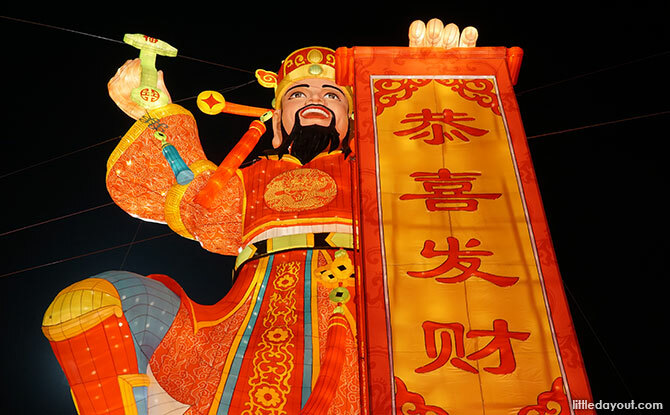 The towering God of Fortune will be showering fortune down at 7.30 pm, 8.30 pm, 9.30 pm and 10.30 pm on 4 February 2019, Lunar New Year’s Eve. 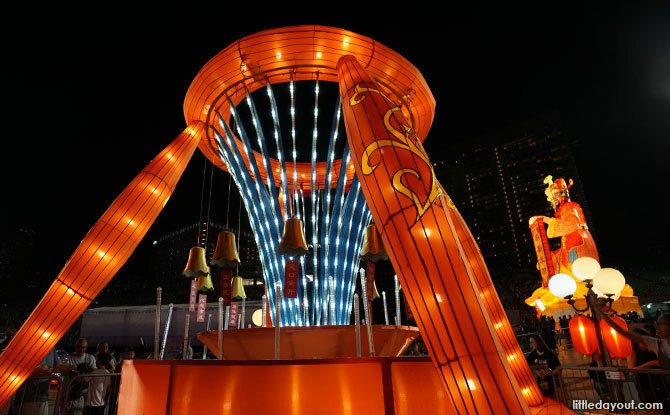 On all other days, the Fortune Shower will take place at 6.30 pm, 7.30 pm, 8.30 pm and 9.30 pm. 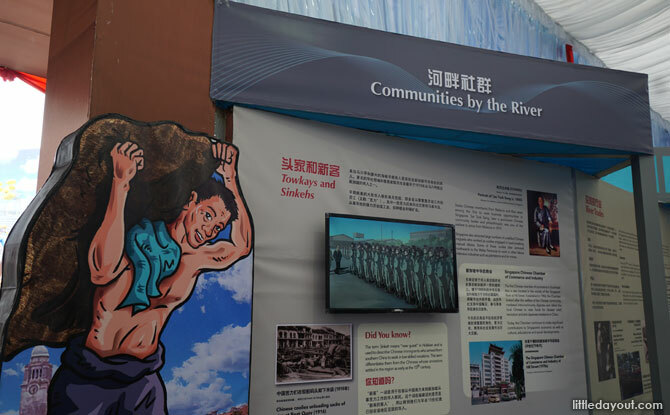 In keeping with the Bicentennial theme, the River HongBao 2019 has an exhibition A Harbour and Home: The Singapore River Through Time which is housed inside a “Chinese junk”. 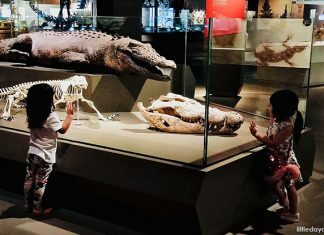 The exhibition charts out Singapore’s journey over the past 200 years. 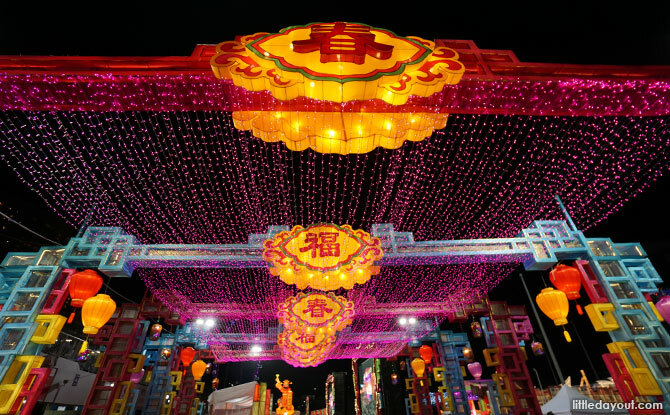 Fireworks will be held at the River HongBao 2019 Bicentennial Edition every evening from 3 to 10 February. 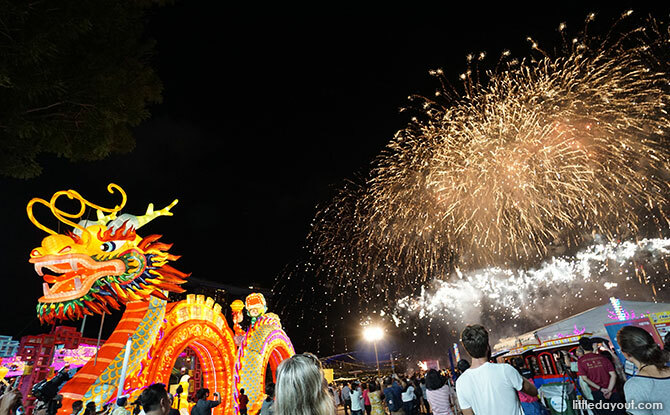 This year, River Hongbao will feature fireworks choreographed by international pyrotechnics experts on four nights – 3, 4, 9 and 10 February. 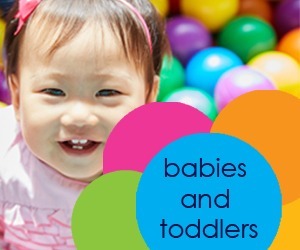 For the full schedule of fireworks, visit the website here. 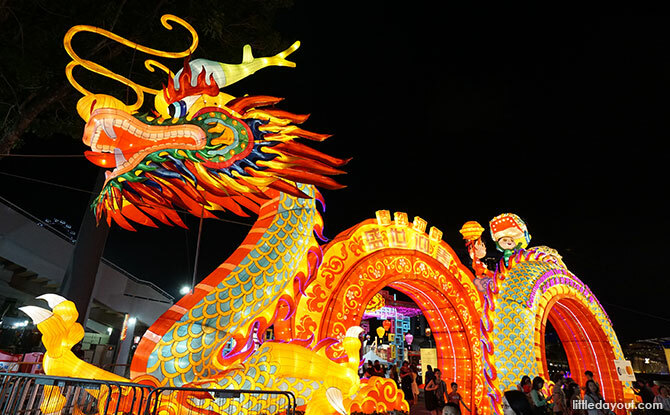 Pay a visit to River HongBao 2019 in the evening to enjoy performance programmed to different themes every evening. 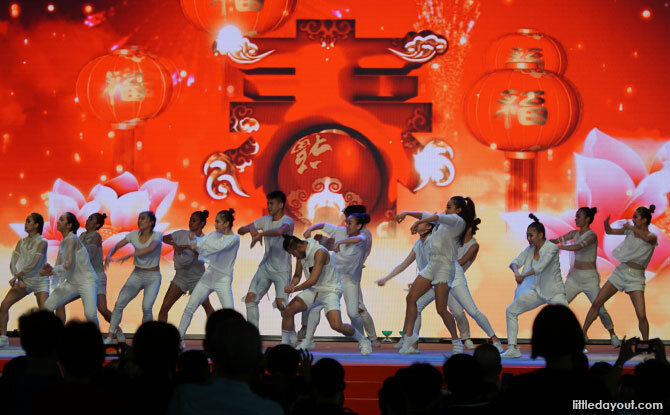 Among the groups performing are the TENG Ensemble, Red Moon Dance Troupe and National Taiwan University of Arts. 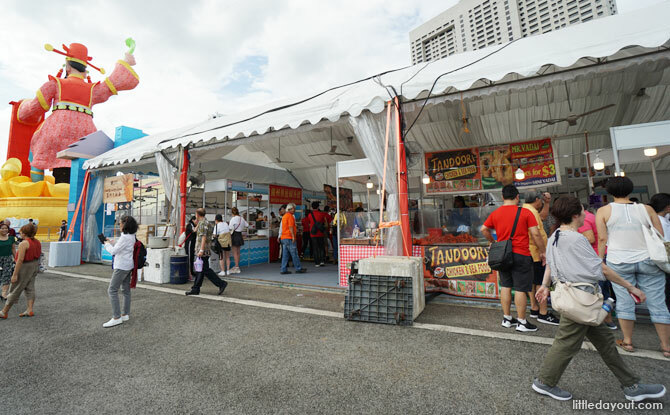 River HongBao 2019 Bicentennial Edition also features a carnival with rides and a Food Street. 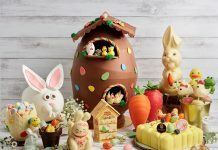 For more information on River HongBao 2019, visit its website here.